Fiction University: Do E-Readers Put Unfair Pressure on First Chapters? Do E-Readers Put Unfair Pressure on First Chapters? I once started a novel on my ereader that my husband recommended. I'd read other books by this author and enjoyed them, and this was a different series with new characters and world. I knew the basic premise going in, but nothing more. After several chapters I found myself getting bored, but probably not for the reasons you'd expect. Since I'd never read the cover copy, I had no idea what the novel was about. Since I had no clue what the novel was about, I needed the first few chapters to establish that for me to keep me hooked. And this novel didn't do that. It focused on things that--as far as I could see--were going nowhere. I mentioned it to my husband, who gave me a quick two-sentence core conflict update. Suddenly I saw those "going nowhere" chapters in a whole new light. The tiniest bit of information made a huge difference. I find this especially interesting, because back in April I wrote about how revealing cover copy information in the opening scenes can hurt a beginning and a commenter brought up this exact situation. I was still new to e-readers at that time, so I hadn't experienced this yet. I thought the commentor had a great point then, and I wondered how this might affect books in the future. I see that effect now. We'll have to look at our first chapters as if we know nothing about the story other than maybe genre, and determine if a reader can see where the story is going by what's there--without relying on previous cover copy knowledge. This probably isn't a bad idea anyway, because a great opening should be able to hook all on its own, but how many novels rely on readers having at least a little knowledge going in? It made me wonder if my own novel would past the e-reader test. If a reader knew nothing about the book, would the opening chapter still drawn them in? 1. Is there a sense of a larger story brewing by the end of chapter one? I think this is the key question, because the novel needs to feel like it's going somewhere, even if readers aren't sure where yet. If it's just characters doing stuff with no real goals or stakes, then the chapter risks feeling aimless. What's even better about this question, is that it holds true for e-readers as well as physical books. 2. Is there a sense of tension about explode or a change about to happen? Many novels open with the protagonist's normal world, and the problems don't appear until a little farther in, after that norm is established. The "normal" is a contrast to the "abnormal" problem--See this life? Now watch it fall apart. These stories would likely rely on cover copy, because that's where it'll say "and then it all goes wrong." Without knowing that, it'll be harder to show story progression. The tension would have to come from somewhere else to keep readers engaged, but that tension will be even more critical to a reader who doesn't know the hook. 3. Are the elements in the cover copy mentioned or alluded to in the chapter? If something is critical enough to make it to the cover copy, odds are it's something that will appear early on in the novel. Even a few small examples or hints can be enough to suggest the larger story in the works. But if nothing on the cover copy makes it into the first chapter? That could be a red flag that e-reader readers might need a little extra help. (Please note that this might not hold true if the first chapter focuses on someone other than the protagonist) I suspect show don't tell will come into heavy use to fix this one. These are good questions to ask of any first chapter, because making the opening stronger for those who know nothing about the book will probably also make it stronger for those who do. We might have to work a little harder to accomplish that, but in the end I think our books will be better for it. You can bet I'll be studying every first chapter I read on my e-reader for a while to gain any other insights. What do you think about e-readers and first chapters? 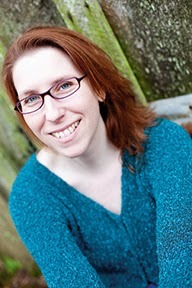 Would your novel pass the e-reader test? On what I self-publish, I actually put my cover copy in the start of the e-book, as a reminder, because there can be a delay between downloading an e-book a reading it. I like seeing that as a reader, as a reminder, and I therefore do that as a writer and publisher. I think I generally do pass the test, but I also tend to write dark fantasy. In that writing, I do my best to include signals about the content and themes early, preferably where it'll show in the sample pages. *shrug* Seems to result in a lower % of returns, compared to other writers I've heard from who write in my genre. What a fabulous and simple solution. I love it. This needs to become the norm, seriously. Sounds like you're doing it right. The proof is in the readers, right? I would love to see the equivalent of front cover notes be the primary first page view when an ebook is downloaded. At present, my downloads leap to the first page of the first chapter. Call me old-fashioned, but I like seeing the title page, TOC, etc before snuggling down to read. And I will have already read the back cover blurb and inside cover notes with any hard-copy book. Interesting point about including the blurb at the beginning of an ebook file. Sounds like something to keep in mind. I think this is definitely a new phenomenon that makes a difference to how we read books. The first chapter is the entry point for a lot of readers and expectations are shifting. Where they'll end up I don't know. I also think that as attention spans get shorter and demands for our attention get higher, all of our entertainment (not just books) will need to grab faster just to stay competitive. I'll certainly do this if/when I self publish. I'm even going to recommend it to my publisher friend to start doing it in his author's books. I WILL be including the cover copy - relevant bits - somewhere near the beginning because many people buy an ebook, and don't look at it for a while - they may need a quick reminder of why they bought it. More importantly, after looking at the WIP, I realized I needed something overarching, a special hook for a long book, and it came to me as a tiny prologue that purports to be the beginning of a New Yorker article - and gives away some of the facts (and gets some of them wrong on purpose). The first reader who got it plowed right into the story - the exact effect I was looking for. It is less than 250 words, and comes with a disclaimer right above it - which the first reader ignored (I thought she would). Worked like a charm. Very nice. I wonder if prologues, blurby things will become more popular in ebooks because of the lack of a blurb? Could be an interesting shift if that happens. I put the cover copy at the beginning of my Dax Varley e-books as well. It's a great reminder of why they bought the book. Seeing most commenters putting cover copy at the start, so that seems a good way to go. Having said that, before I read the other comments, I was going to say that I quite enjoy books about which I know very little. I read fast, so I can normally stick with something even if it's not making much sense so far, but I do enjoy the feeling of being lost, and having to travel with the protagonist, and finding out what's happening along with them. Sure, I like to know the big picture, but written well, I find I get more lost in books if I'm not aware of where it's going . I'm sure it's not just you :) Readers are a varied bunch. I don't think copy at the start would hinder readers who like to dive in, as you could just skip that part. As an editor, I am asked at times to do a brief (4-10 page) sample edit for a prospective client. This is truly a blindfolded experience, as no background of the author or the material is available pre-edit. In these cases I often think about the books I read as 'work' and those I read for fun. Having that little hint before reading my fun books is part of the fun. When I do critiques (aside from the RLDs) I always ask for a blurb for some context. I need to know something to be helpful. Diving in blind like that is much harder. On the upside, knowing nothing can be helpful for the writer since you have no preconceived ideas. This is great that self-pubbers are putting the cover copy at the beginning, that's what I'd do if I go that route - exactly for this reason. But what I think this really means is that pressure needs to be put on mainstream e-publishers to do this as well. It's great that it makes us think about our important first chapters different/better, but I still would prefer to read a back cover/inside jacket copy. Sometimes I'm trying to choose a book for an overall mood, not just what the first pages tell me. I hope mainstream publishers start doing this, too. It's a great idea and would really help readers. In fact, I'll even request it for my next novel. Maybe if authors start asking for it it'll become the norm. This is perfectly timed for my WIP. I haven't figured out yet how to state my hero's internal problem (that he's hiding from his past), and my writing buddy complained about the mystery. Taking e-readers into account is going to give me extra motivation to solve this! As mentioned, I've seen a few ebooks with the blurb/back cover copy at the start. For me, I'm always using Goodreads so I pull up the description myself prior to reading. I have a Nook HD so I can easily switch over to the Goodreads app while i am reading to check the description if needed. I think with tablet culture and savvy readers, this may not be AS big an issue. Though, many people are not using review sites or say they have an ereader only w/o use of apps. Having said that, I really appreciate books that have a sense of where the story is going. Even "slower" literary fic can do this, it doesn't need to be limited to genre fic with each genre's expected parameters. Goodreads is a good idea, though I'd guess not everyone is going to want to switch over, or have a reader that's capable. 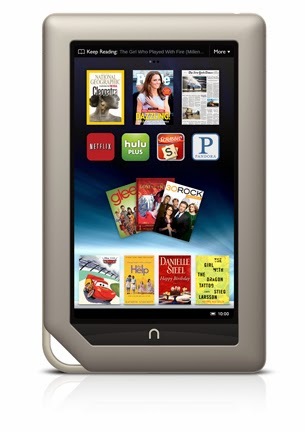 My Nook is the original, so I don't think it can access anything but the B&N site. Though if I read on my ipad it would be easy to check. Things have changed. I have books going back to the 1800's and no mater the era they had a strong opening... No one would use the beginning to 'Farewell To Arms' or 'Tale of Two Cities' anymore. It is fair to say that they are classic but also tough to get into by today's standards. I would say that the beginning of popular children's books such as 'Gullivers Travels' which I just looked at has a more modern opening than anything of its era that was considered adult. BTW that copy was given to my Aunt Natalie in 1895 with the cover that said "Featuring 250 Illustrations for young readers". Things have not really changed, the format is different.... look to the classic values of your heart and write on. What makes a "good" novel changes so fast. Even books from ten years ago would have troubles in today's fast-paced marketplace. Another place to really see how tastes have change is watching movies from the 80s, or 50s or even father back. Heck, even 2000. The differences in pacing and style are so clear. And great storytelling (and film making) stands out just as clearly when an older movie still stands up to today's standards. 'Gulliver's Travels' is NOT children's fare - except for children like me who read everything they could get their hands on. Maybe you had access to a modified/adapted for children version? Sounds like something a publisher would do "Featuring 250 Illustrations for young readers". It is very adult - and biting - satire about Jonathan Swift's time (he of 'A Modest Proposal' fame). The full story is very good - even without a specialized commentary to tell you what is being satirized. I especially liked the Yahoos. Swift is an excellent writer, if a little archaic. Your First Chapter piece is probably the best I've ever seen on the subject, and this just became a necessary companion. It truly is a test to pass: does the first chapter give some sense of what would be on the back cover? Of course, Carradee has a point. If you don't welcome the challenge of doing a full-depth hook, just put the tips up front anyway. Thanks! I think both work. A little context works, then a strong opening to really grab the reader. Wow, this a great point. I never thought of it through the "ereader lens." I was surprised in the difference it made for me. It really made me start to pay attention to my reading habits.